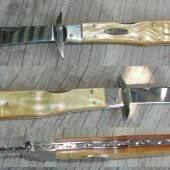 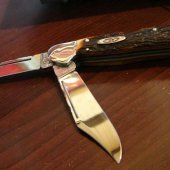 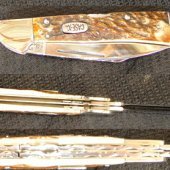 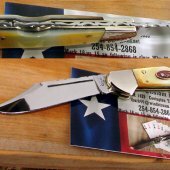 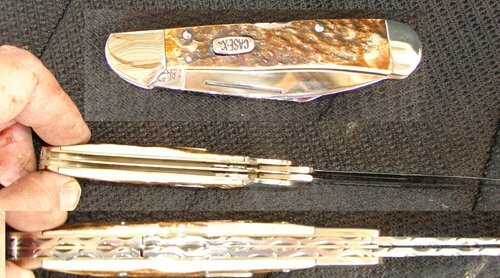 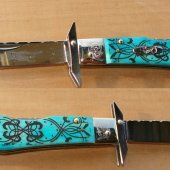 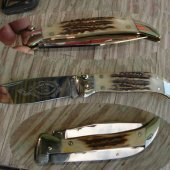 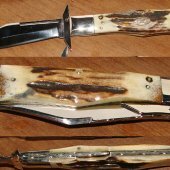 Some of the knives on this page are Conversions I make from Factory knives , some customer requested handle materials made to order for those knives by me in my shop at customers request an Charge. 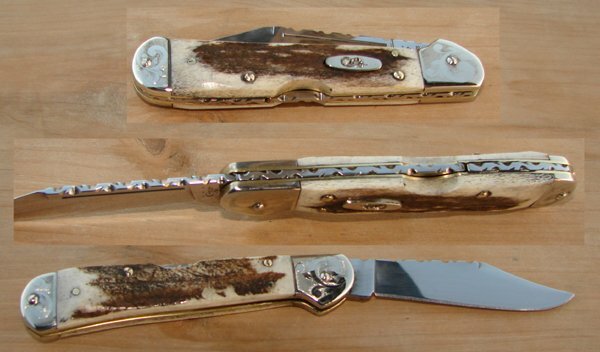 If you want one you have to Furnish the knives to be used . 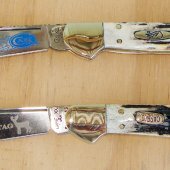 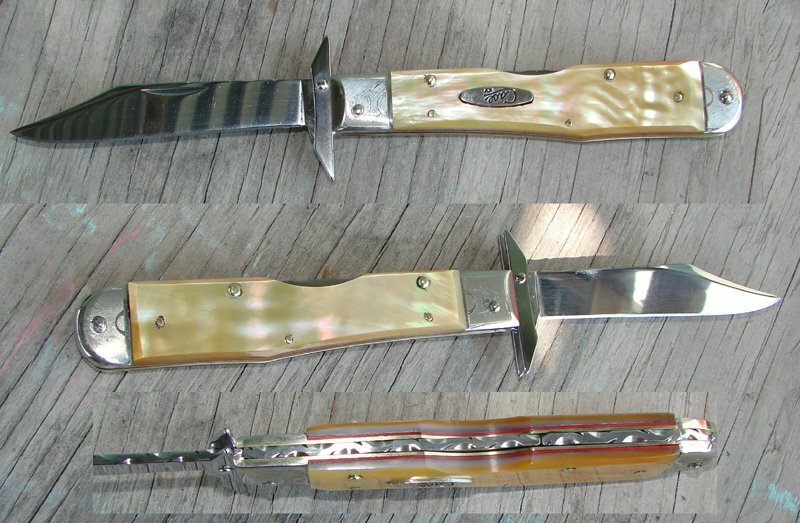 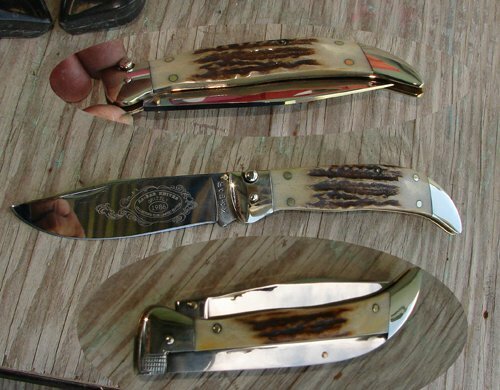 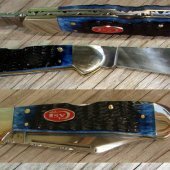 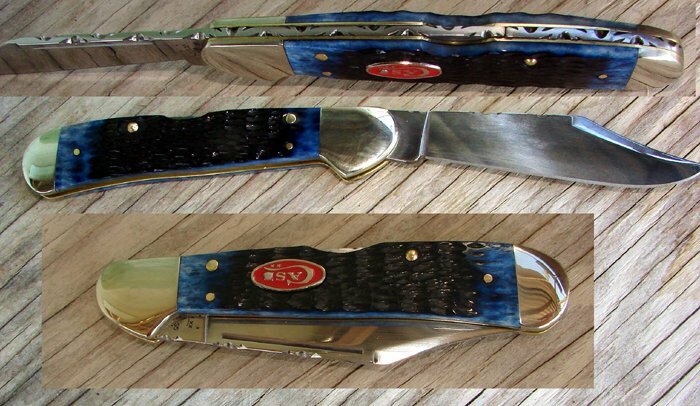 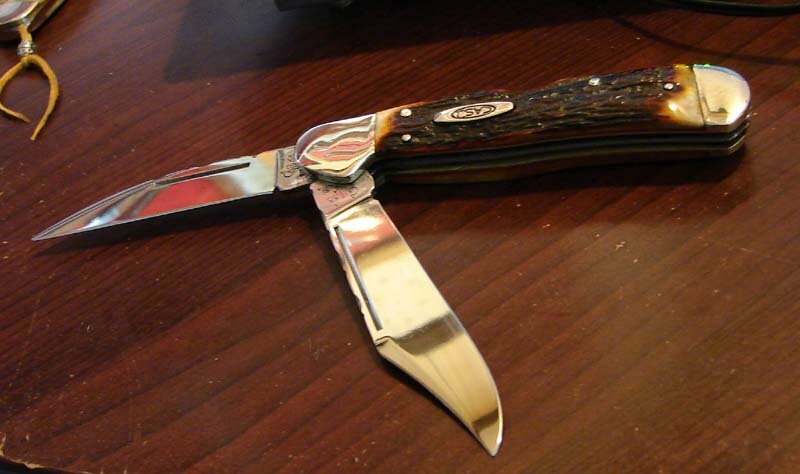 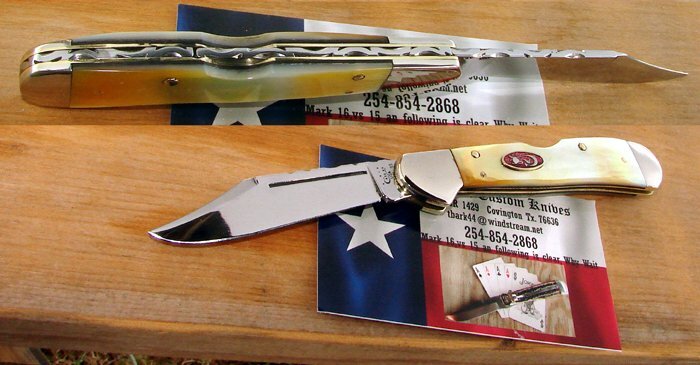 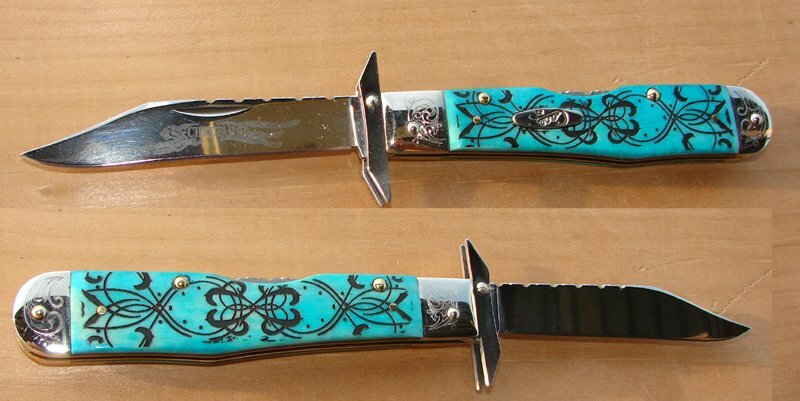 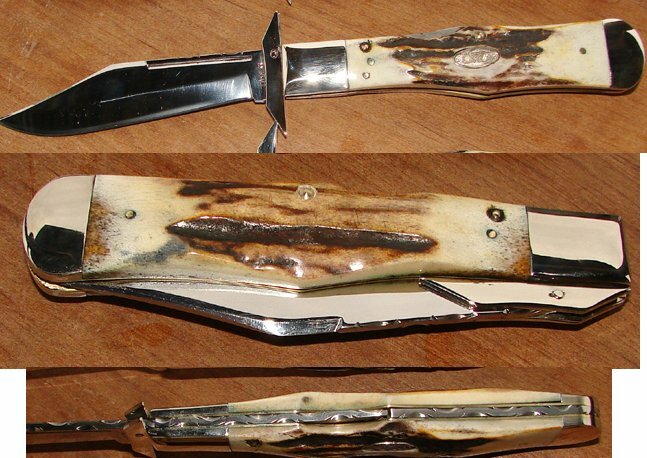 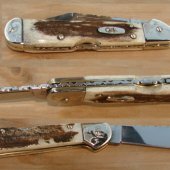 You can choose the handle material as long as its not plastic ,must be a durable material , you can Choose the type of file work (Design on the spine of the knife ) all of these are priced at the end of the discussion when we both fully understand what you want.